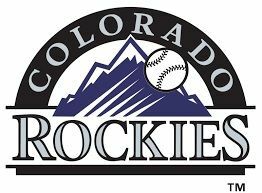 DENVER - Colorado finalized $27 million, three-year contracts with right-hander Bryan Shaw and lefty Jake McGee on Friday, moves the Rockies hope will fortify their bullpen. The 30-year-old Shaw was 4-6 with three saves and a 3.52 ERA last season for Cleveland. His 475 appearances since his 2011 debut are the third-most among relief pitchers in that span. McGee was acquired from Tampa Bay before the 2016 season. The 31-year-old was 0-2 with three saves and a 3.61 ERA this year as the Rockies returned to the postseason for the first time since 2009 only to lose to Arizona in the NL wild-card game. Colorado has not determined whether it will re-sign closer Greg Holland, who had 41 saves last season after missing 2016 while recovering from Tommy John surgery.